Easter is such a fun holiday. The beautiful light pastel colors make me happy. I love flowers and bunnies and making cute crafts with my kids! 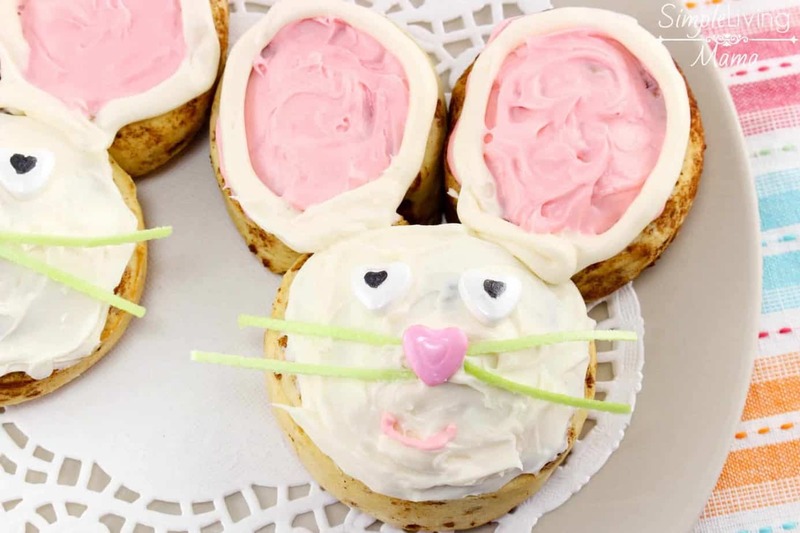 Easter desserts are some of my favorites to make. 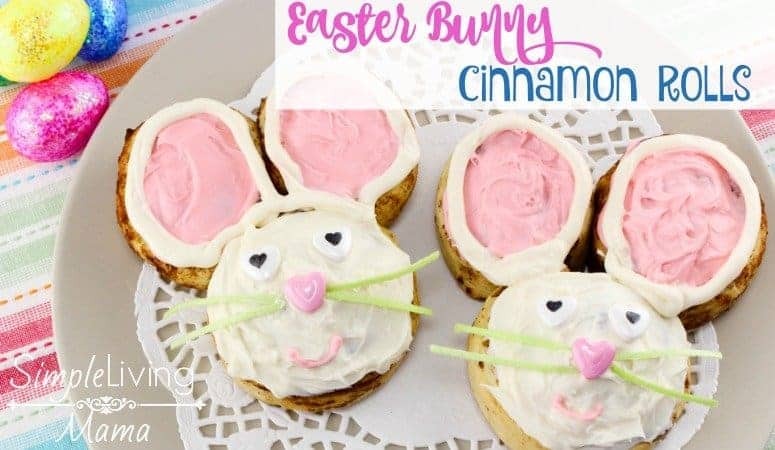 These delicious Easter bunny cinnamon rolls could actually be a wonderful breakfast treat, or a tasty Easter dessert. 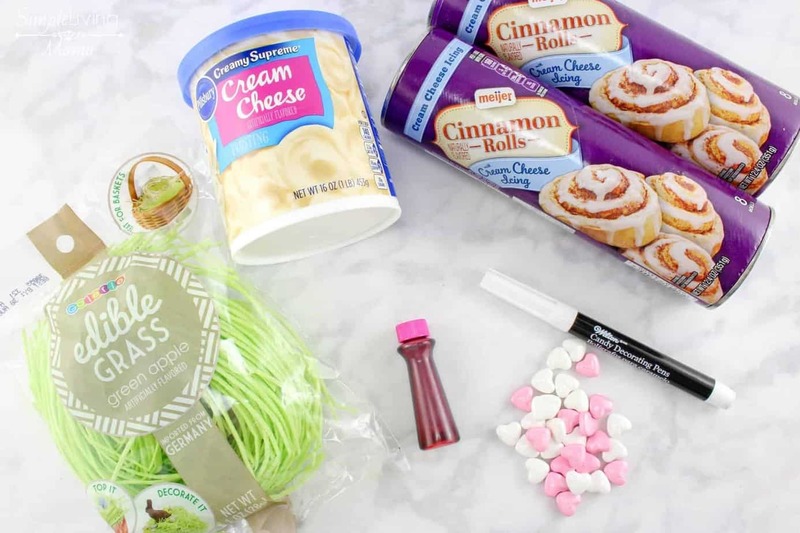 I encourage you to gather your kids around your kitchen and create this yummy treat together! It’s easier than you think. Preheat the oven to 375 degrees. 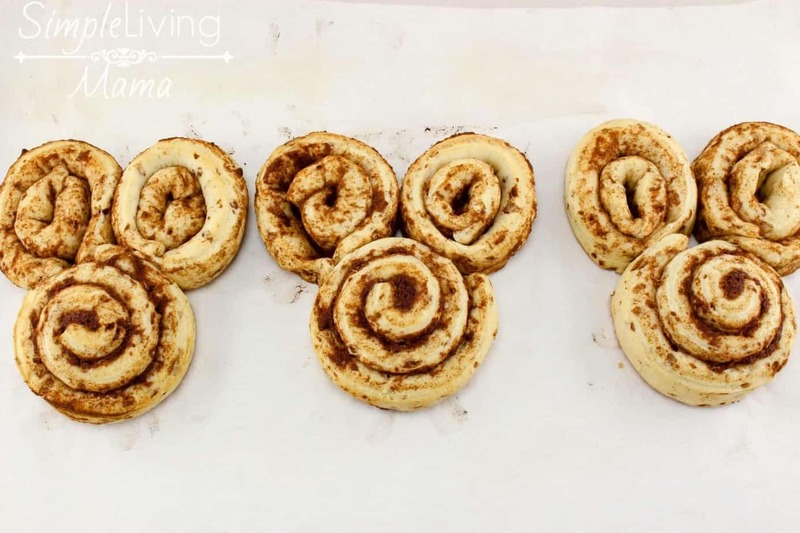 On a parchment lined baking sheet, place 4 whole cinnamon rolls. Next, unroll the other cinnamon rolls and cut pieces and make into oval pieces for the ears, 2 larger ovals for the outside of each ear and a smaller oval to go inside each ear. Remove cinnamon rolls from the oven and let cool slightly. 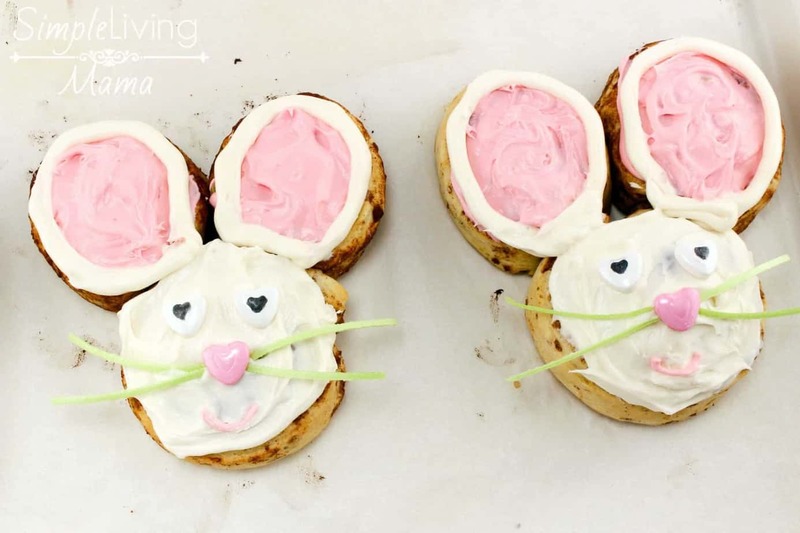 Isn’t this the cutest bunny breakfast or dessert that you ever did see? 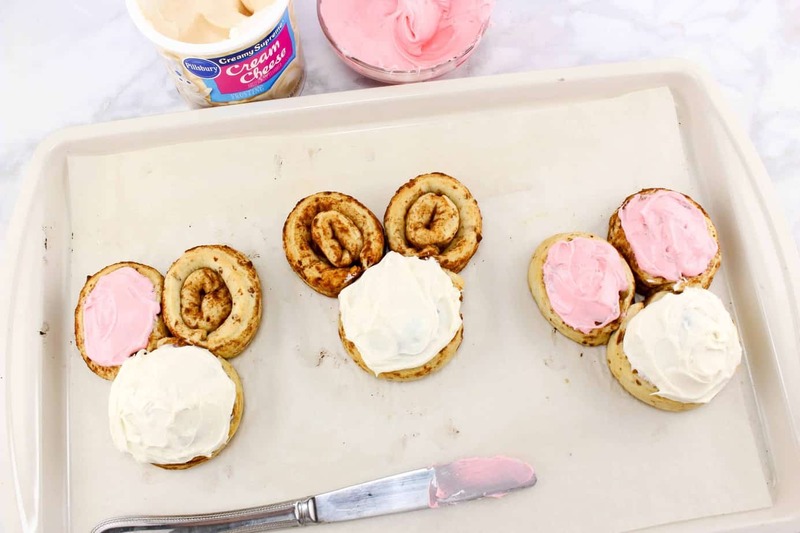 If your kids love cinnamon rolls as much as mine do, you have to make these Easter bunny cinnamon rolls at least once! If you give these a try, let me know how it goes! 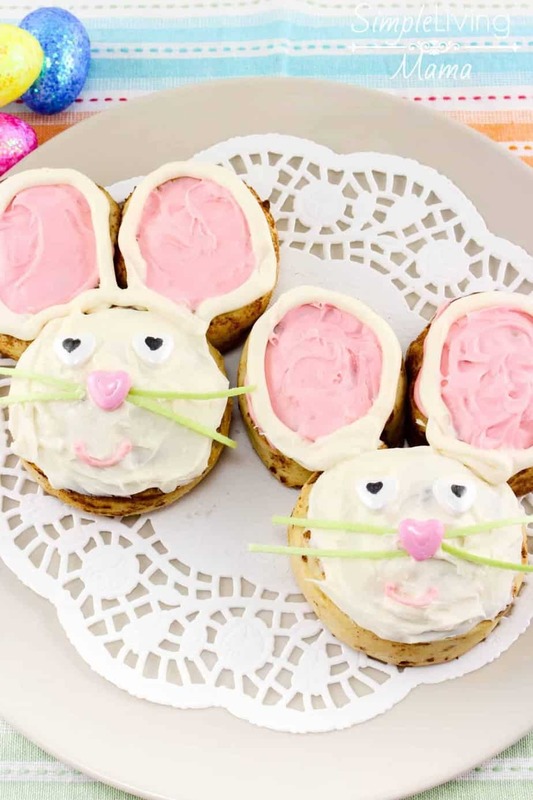 A delicious and fun Easter treat! 2. 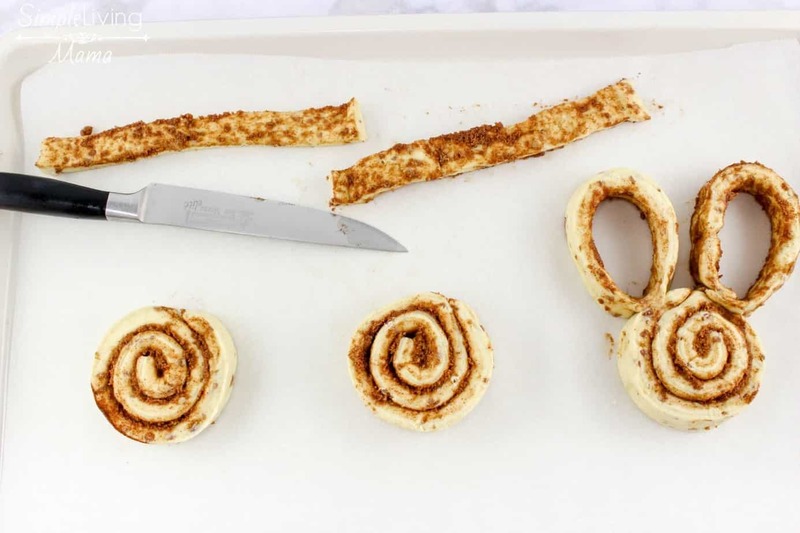 On a parchment lined baking sheet, place 4 whole cinnamon rolls. 3. 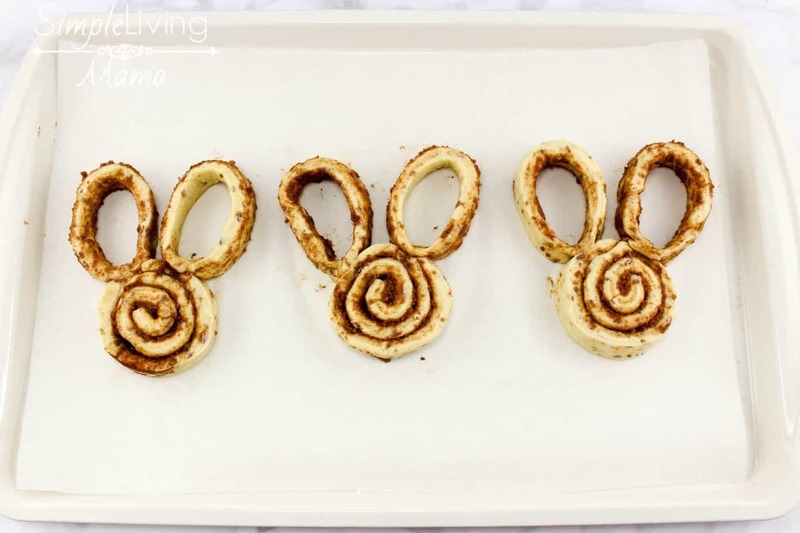 Next, unroll the other cinnamon rolls and cut pieces and make into oval pieces for the ears, 2 larger ovals for the outside of each ear and a smaller oval to go inside each ear. 4. Bake for 8-10 minutes or until golden brown. 5. 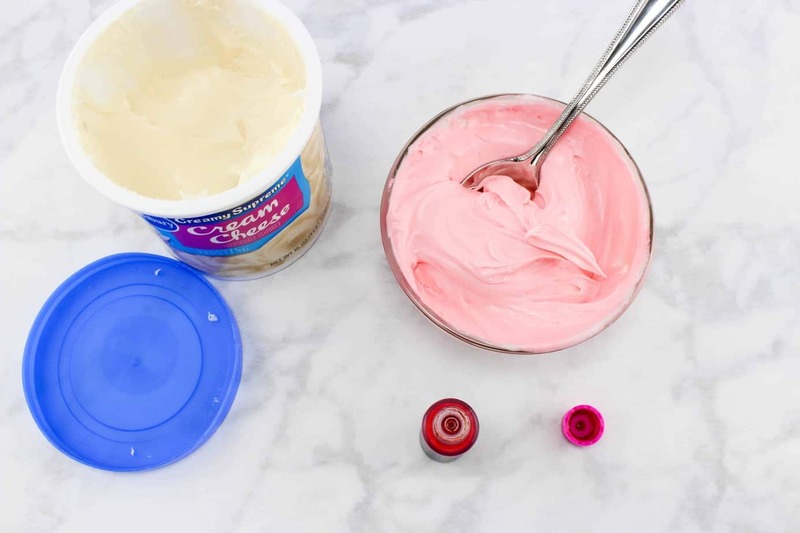 Place about half the frosting in a bowl and stir in pink food coloring until well mixed. Leave the rest white. 6. 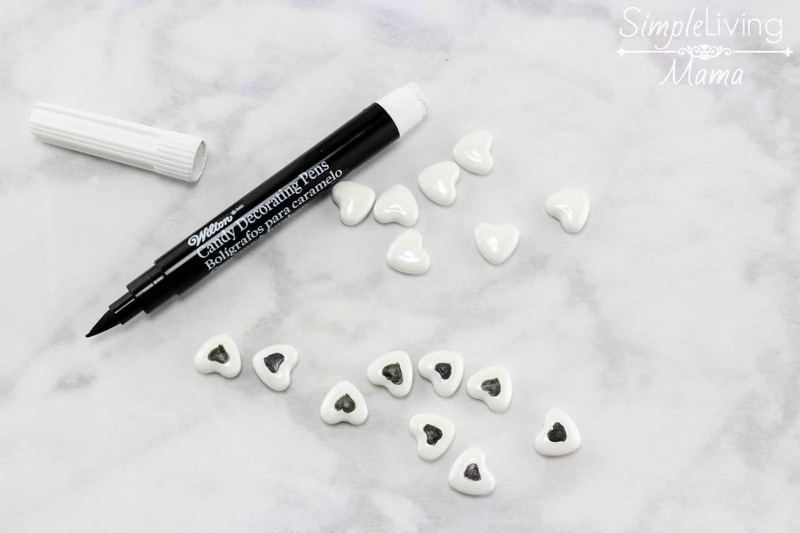 Using the black decorating pen, draw little hearts on the white heart candy for the eyeballs. 7. Remove cinnamon rolls from oven and let cool slightly. 8. Frost the bunny head with white frosting and the ears with the pink frosting. 9. Put 2 of the white heart eyes on the face and put a pink candy heart for the nose. Then add a few little pieces of edible grass for the whiskers. 10. Makes a fun breakfast or snack for kids!